Rory Hamilton-Brown is set to leave The Oval after Surrey allowed him to enter into discussions with other counties. Surrey have confirmed they have received several statements of interest for the 25-year-old batsman, who stood down as captain this summer. Team director Chris Adams said: "Having had discussions with Rory, we have both agreed he should be allowed permission to speak to other clubs. "He can assess and consider the options for his future." 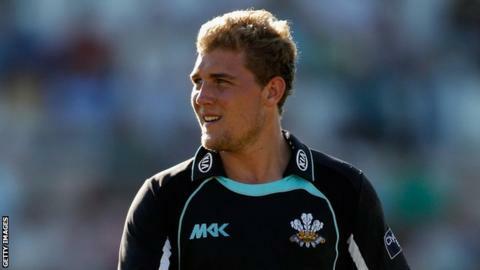 Hamilton-Brown, who rejoined Surrey from Sussex in 2009, signed a deal until the end of 2014 earlier this year. However, he took a break from the game in July following the death of his team-mate and close friend Tom Maynard.